I was recently given the opportunity to read ‘I was here’ from award-winning, bestselling author, Gayle Forman. and from reading the blurb I thought this sounded like the sort of book I would like to read. This book comes under the Young Adult category but can be enjoyed at any age, and I especially enjoyed reading this book aged 24. I find young adult fiction is so easy to read and to get into and also relate to. I found this incredibly easy to put down and pick back up again without feeling like I needed to re-read the last few pages to get back on track. The cover of this book is modern and reminds me of an Instagram collage. I think the cover is very pleasing to the eye and something I would personally pick up and look at. This is reminiscent of Forman's other titles. 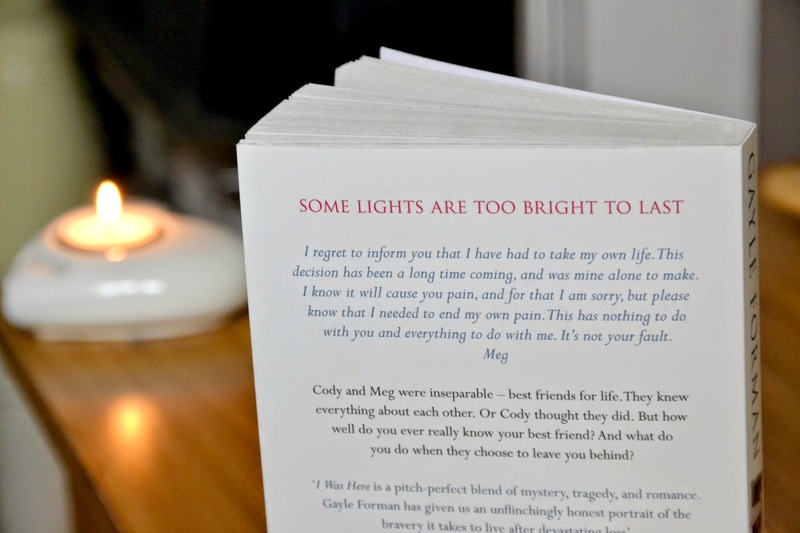 The plot centres around Cody coming to terms with the suicide of her best friend Meg. Cody thought she knew everything about Meg so to discover this has happened only intensifies her grief and leaves her with many unanswered questions. Cody then uncovers deleted emails and encrypted files on Meg’s computer and sets out to determine the truth behind her friend’s suicide and decision to die whilst also finding out about a whole other life Meg has been living. Suicide is a very sensitive topic and I believe Forman has written about this very well and what affect this has on the people left behind. The plot covers heartbreak, romance and the changing and growing of many relationships and some really good character development which I could completely relate to. The book is what I can only describe as real. The way Forman has executed her writing makes this book really believable and I even found myself mourning Meg’s death by the end of it. This is the first Gayle Forman book I have read and I am left wanting to pick up other titles. I was kept on the edge of my seat and I am still left wanting to read even more. 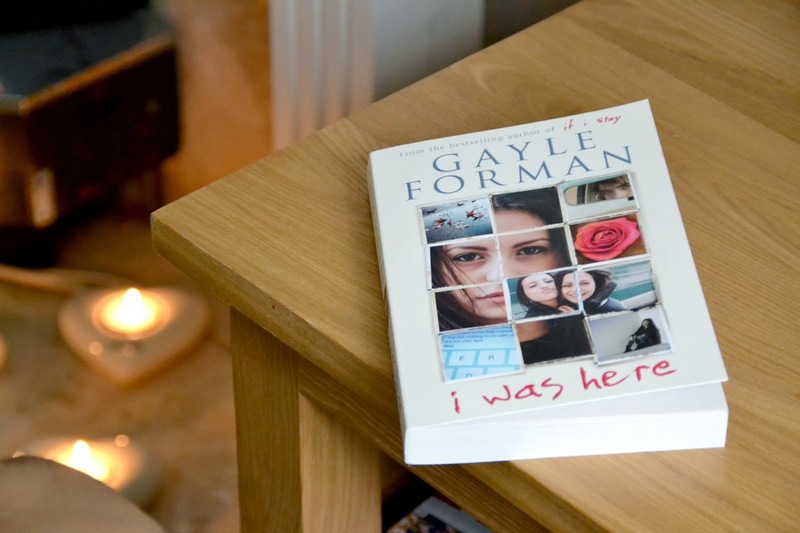 I Was Here by Gayle Forman is out today and you can purchase this on amazon here. *I was sent this book for free for the purposes of a review. All opinions are my own. See my disclaimer for more information. Looks like such a great read! Rocky Road on a budget..